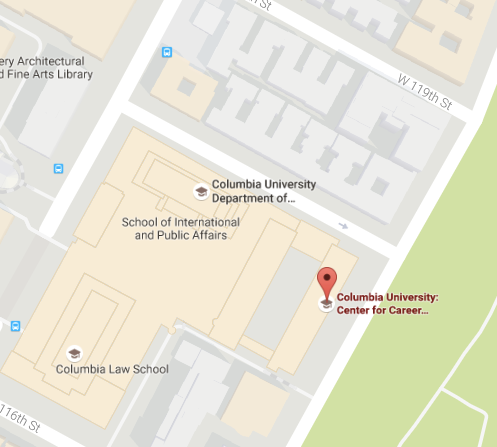 Columbia University has a vibrant alumni community with interesting, accomplished, and varied careers. Building relationships with alumni is a great way to learn, create a supportive professional community for yourself, and discover hidden opportunities. This page will walk you through some of the ways to connect with alumni. Why should I connect with Columbia alumni? Learn more about how to grow relationships with alumni! Looking for alumni-specific resources? Check out For Alumni for content created just for you! How can I connect with Columbia alumni? Columbia Career Connections LinkedIn Group: This group connects students and alumni for career exploration, informational interviews, and job search guidance. Columbia Alumni Association Network LinkedIn Group: Facilitated by Columbia Alumni Aﬀairs, this group provides you the opportunity to build your professional alumni network. Once you’re in a LinkedIn group with an alum, it’s possible to reach out to them through the group even if you’re not otherwise connected. Click into the group, view the list of members, and search for the alum you’ve discovered through your research. Then, you can write them a personalized message. Our Alumni Profiles feature career stories and advice from Columbia alumni across a range of fields. Reading their insights can help you reflect on and shape your own Columbia experience. Many alumni post positions on LionSHARE and champion the hiring of Columbia students at their organizations. Alumni understand the value of your learning experiences and can advocate for your unique skills in their workplace. Through our summer mentorship programs, you can get personal and professional advice while completing an internship or living in a new city. In these programs, you will be paired with a mentor available in your location whose experiences align with your interests. The Odyssey Mentoring Program is an online community exclusively for College alumni and students, managed by Columbia College Alumni Relations. Odyssey is a great place to seek advice, ask questions, or find long-term mentorship. Through our Alumni Practice Interview Program, you can practice interviewing with Columbia alumni in your industry of interest. You’ll not only build interview skills, but also receive feedback from professionals who have experienced the hiring process as Columbia students. Stay tuned for this program at the beginning of the fall and spring semesters to help you prepare for upcoming internship and job interviews. Many alumni also return to campus for recruitment events like career fairs, industry showcases, and information sessions. You can find alumni easily at CCE events by the alumni ribbon on their nametag. Job shadowing or externships (formal shadowing experiences) can be a great way to gain first-hand insight into an organization or industry. Alumni often host students at their workplaces for this type of experiences, including through our Columbia Exploration Externship program.